AMS Vans LLC. 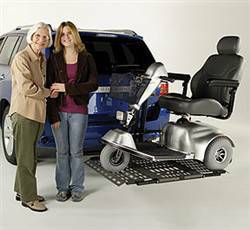 offers several wheelchair lifts for vans to travel safely with a wheelchair, power chair or mobility scooter. Interior and exterior lift styles vary according to your vehicle type. Installing a lift or platform carrier for personal and commercial lifts can benefit those with some additional power and ambulatory capabilities, and be an economical, safe choice for storing mobility equipment. 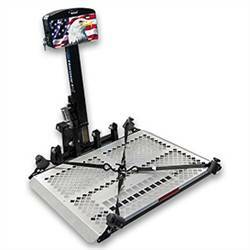 We install wheelchair lifts and platform carriers at our locations across the United States and partners. Call for location details. 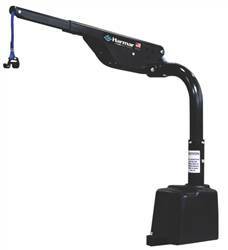 The Harmar AL500 universal lift is the most popular outside platform lift of its kind. This premium lift is compatible with most powerchairs. 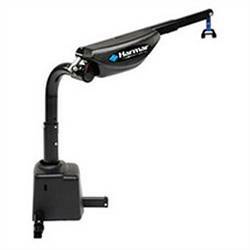 Able to lift up to 400 lbs, the Harmar AL425 can be used for the largest powerchairs, scooters, or wheelchairs when traveling. This value model lift is made for use with lighter power chairs, scooters, and wheelchairs weighing less than 250 lbs. The Harmar AL215 Light Single Axis Interior Powerchair and Scooter lift is capable of lifting 250 lbs. 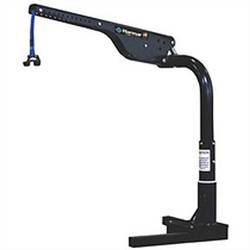 This value option offers a powered lift with a manual rotation with lockout. 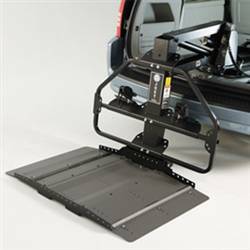 The Bruno Out-Sider Meridian Lift is the most rugged, reliable, and versatile exterior power chair or scooter lift for the back of your suv, minivan, full-size van, sedan, CUV, or pick-up truck. This exterior lift is operable with the touch of a button. The Bruno Outsider Micro Scooter Lift is a light-weight exterior scooter lift for the back of your vehicle. Capable of lifting 145 lbs, operation is easy and can be done with one hand. 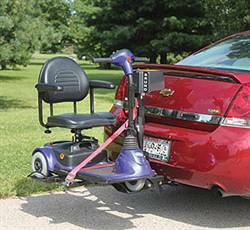 The Bruno Curb-Sider vehicle lift raises and stores your powerchair or scooter (up to 400 lbs.) with the touch of a button. Easily connect the docking device, push a button, and let your Curb-Sider do the heavy lifting for you! Lift and store your powerchair, scooter, or wheelchair up to 350 lbs. into your minivan, full size van, or SUV at the touch of a button. Known as a “lift on wheels”, the Chariot is a unique and relatively compact rear attachment for almost any small, mid-size or large car to store your unoccupied scooter, powerchair, or wheelchair. 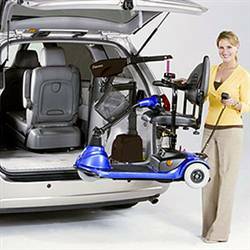 Installing an interior or exterior wheelchair, scooter and power chair carrier for your vehicle is a safe, economical solution to storing your mobility equipment during travel. 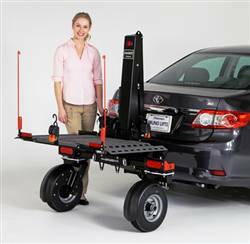 Platform carriers and lifts eliminate the possible injuries associated with manually loading mobility equipment into an automobile. AMS Vans LLC. offers choices in both exterior and interior platform carriers and powered lifts. 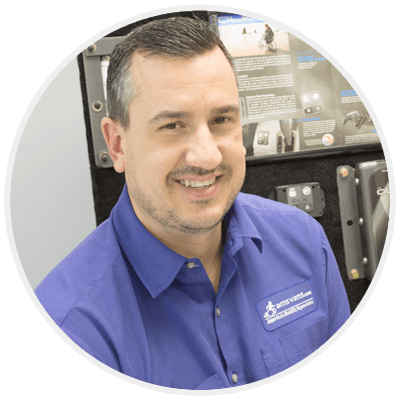 Our mobility consultants will happily discuss the right platform carrier for both your vehicle and mobility equipment.